Home needs to be a safe place, which is why we created the perfect home camera to let you check in at anytime, from anywhere. 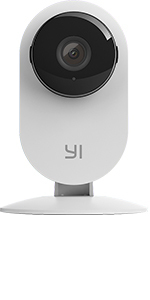 With essential features including full HD, two-way audio and night vision, the YI Home Camera 3 also incorporates YI Cloud and AI technology to activate smart algorithms creating an even smarter home camera. 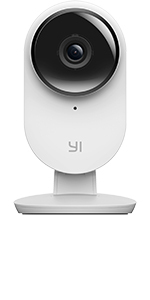 Every YI Home Camera 3 comes with your own six months subscription to YI Cloud. From your baby’s first steps to the unfortunate event of a break-in, you won’t miss a moment. 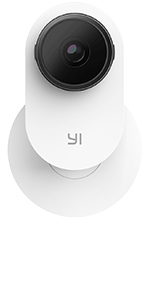 Before you see it the YI Home Camera 3 will hear it. 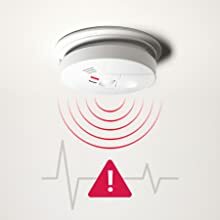 Detecting any abnormal sounds such as a baby crying, smoke alarm, or window breaking you’ll be instantly notified through your smartphone. The smart human detection technology eliminates 'false positives' caused by flying insects, small pets, or light changes. You’ll only be alerted for the moments that matter. 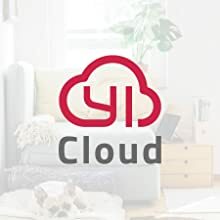 Using the smart human recognition technology to search through your videos in YI Cloud, it automatically identifies any relevant footage and allows you to watch it directly. You can divine times when your camera is turned on or off. Notifications and alerts will only be send when the camera is on. You can choose between regular motion detection or human detection as trigger for an alert. You choose between motion triggered pet cam or human detection cam. Set if you want to receive alerts for abnormal sounds in a range from conversations up to harmful noise levels, like baby crying or shattering glass. 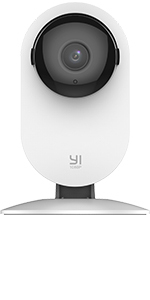 The YI Home Camera 3 comes with six month of complimentary YI Cloud service. All your footage is safe and accessible even if your SD storage is damaged, with failures or stolen. The free YI Home app for iOS and Android gives you control over your house cameras. View up to five remote cameras in key points, share footage, set security options or all other settings at the palm of your hand from anywhere in the world making it a real home camera system.